The Youtube has launched a new format for making virtual reality videos easier and affordable. The VR180 format will allow creators to shoot videos in 180-degrees through VR180 certified cameras. The new VR format is a result of a collaboration between YouTube and Daydream teams which according to Google will make VR content even easier to create. The VR180 format supports videos shot in 180-degrees and do not have a full range field of view. Users can watch the videos which will appear immersive but won’t provide a full field of view and as such users won’t be able to look backward. The VR videos would be displayed as normal flat, high-resolution 2-D videos on desktops. 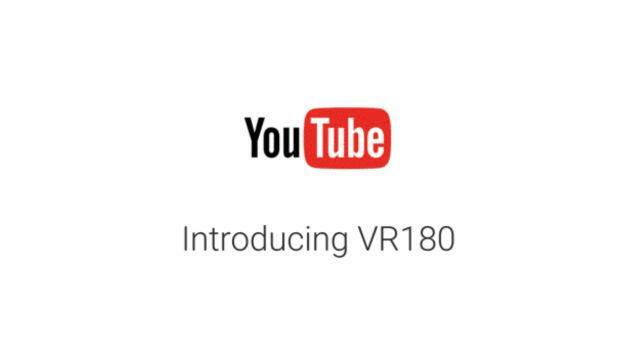 The VR 180 video format also supports live streaming videos so now creators can also interact with users in real-time using virtual reality headsets that support the format.YouTube video creators would also be able to edit videos shot in the VR180 format on Adobe Premiere Pro very soon. Users can watch VR180 videos with Google Cardboard, Daydream, and PlayStation VR headsets. Additionally, they are working with camera manufacturers such as LG, Yi, Lenovo among others to make new VR180 certified cameras that will cost “as little as a couple of hundred dollars”. These new cameras will be released this winter and will be easy to use just like a point and shoot camera. Google is also opening a VR180 certification program with Z CAM as their first partner to manufacture cameras which support VR180.